There are some dishes that never stop being a classic. Sea salt and vinegar chips are always something that reminds me of the summertime fair that is held in a few towns over from where I live, of which my brothers and I would attend one day out of the year. 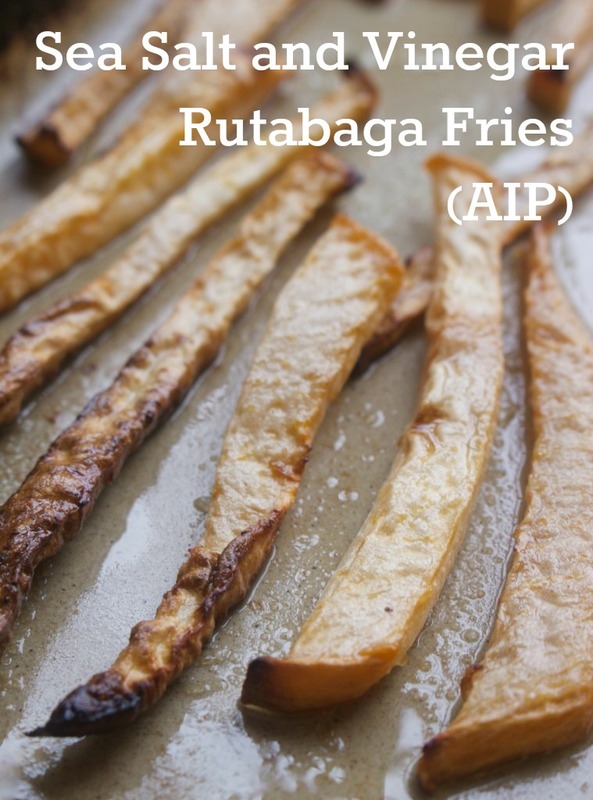 Though those fries are cooked in damaged oils and made with potatoes, I sought to replicate this delicious flavor combination with the use of rutabaga, a rather underused, under appreciated root vegetable. If you have never cooked with rutabaga, they are a bit like turnips in that their water content is higher than that of a starchy vegetable such as sweet potatoes or parsnips. That being said, they are certainly not as pungent as turnips, and a lot easier to love. Though we Americans call them rutabagas, the vegetable is typically known as “swedes” around the world. Because they are likened to turnips, my mother was not entirely sure I could make something that would fit her fancy. However, as I was sprinkling on the truffle salt, I instantly new that I had her. In the end, the fries turned out amazing, and even my parents said so themselves as they ate away. Peel rutabaga, and cut into match stick sized fries. Cover the bowl with plastic wrap, and allow to sit in the fridge for 1-2 hours. After the rutabaga has marinated, remove from the bowl and place on a large baking sheet, and pat dry with paper towels. 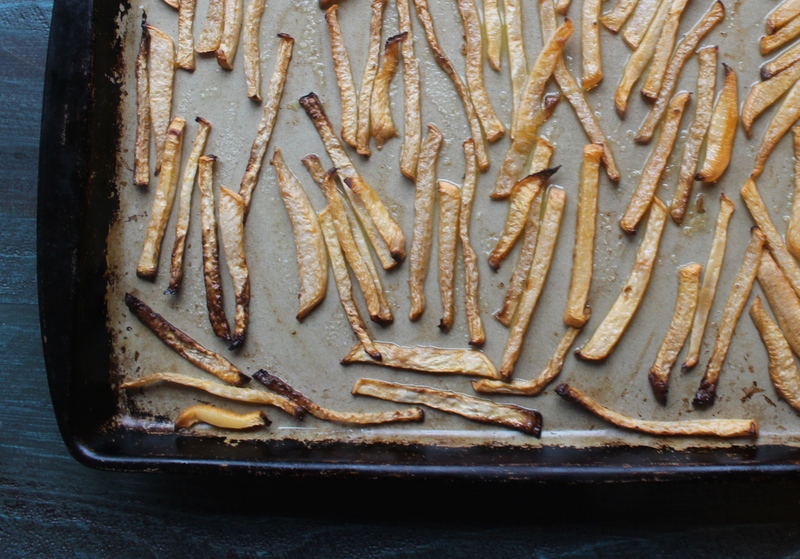 Toss the fries with avocado oil and truffle salt, and place in the preheated oven to bake for 35-40 minutes until beginning to brown around the edges. Remove from the oven and sprinkle with fresh chopped rosemary if desired. 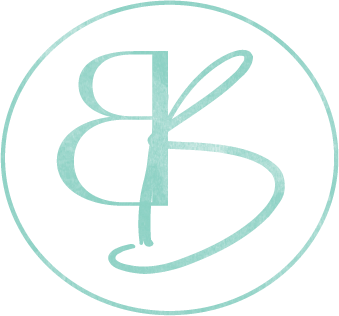 Do you have to use truffle salt? Im not sure I’d like it.